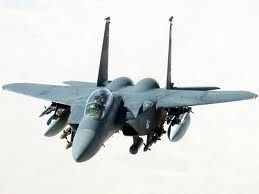 The Obama administration is poised to announce the sale of nearly $30 billion worth of F-15 fighter jets to Saudi Arabia, U.S. officials said Wednesday. The deal will send 84 new fighter jets and upgrades for 70 more, for a total of $29.4 billion, according to the officials, who requested anonymity because the sale has not been made public. The plan initially raised concerns from pro-Israeli lawmakers, but U.S. officials reassured Congress that Israel's military edge would not be undercut by the sale. Additionally, there is now broad agreement among Israel, the Gulf Arab states and the West that Iran poses a significant and unpredictable threat.